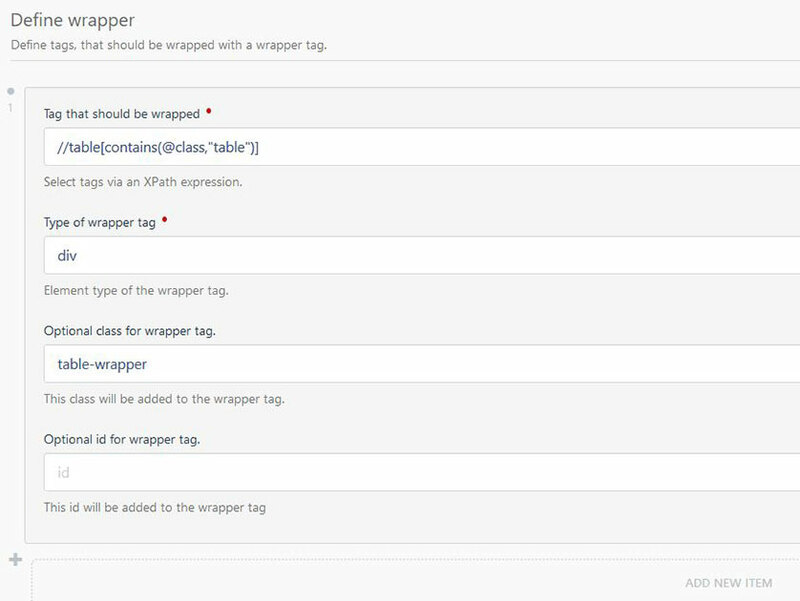 Manipulates the DOM and wraps selected HTML-Elements into a defined wrapper. This plugin can be used to define various selectors and wrappers. It provides a middleware that searches for the selected elements and wrap them into a defined parent HTML-Tag. You can define the selectors and wrappers by recording these in the backend.